If you pay any attention to music video, you’ve surely seen them: performance clips where the crowd is going absolutely wild. Often it looks convincing enough, but you may ask yourself — is there an applause sign flashing somewhere off camera? Do they really love the song, or are they just dancing and jumping around because a director told them to? Well, if it’s a Cowboy Mouth video you’re watching, there’ll never be a doubt in your mind that the enthusiasm you’re seeing is real. We doubt the celebrated New Orleans combo has ever done a concert that wasn’t received ecstatically by fans. Fred LeBlanc – singer, drummer, songwriter, and force of nature – simply wouldn’t let that happen. On stage, he’s a ball of brilliant Louisiana lightning: a pounding, shouting, shaking, sweating rock and roll true believer. 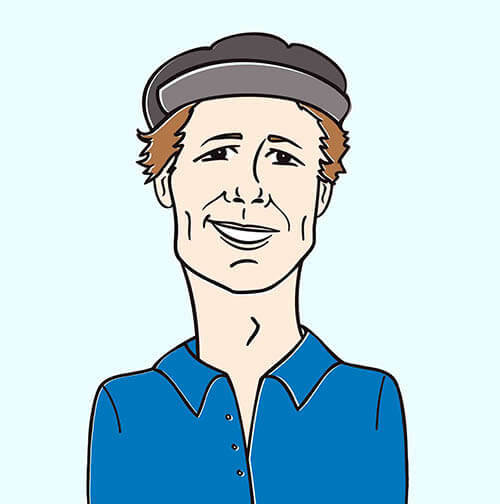 He’s the man called “maniacal” by Billboard (they meant it as a high compliment) and “one of the most recognizable figures in Louisiana music” by local author and New Orleans music chronicler Rick Koster. He wrote the signature Cowboy Mouth number – the 1997 classic “Jenny Says” – and a parade of other unforgettable, exuberant songs, including “The Avenue”, “Tell The Girl”, and “Take Me Back To New Orleans”. Like the other members of Cowboy Mouth, LeBlanc is a veteran rocker with years of experience as a party-starter. He was a member of the rollicking Dash Rip Rock (current Cowboy Mouth bassist Brian Broussard played with that outfit, too). John Thomas Griffith, guitarist and fellow founding member of Cowboy Mouth, played with the Red Rockers, the New Orleans new wave band that scored with “China” in 1983. Rhythm guitarist Matt Jones contributed to Jimmie’s Chicken Shack, the Dixie-fried outfit that kept the Southern flame burning through the ‘90s. Together, they’re a sizzling amalgam of influences: rock, blues, folk, soul, a pinch of country, and maybe a little carnival music, too. LeBlanc and the rest of the members of Cowboy Mouth have always foregrounded their love of their city and Southern musical culture in general, and that’s on bold display in their videos. In the clip for “Broken Up”, there’s good-natured kiss-off. Here, the boys play between the copper tanks of a brewery: a fitting location for a band synonymous with hot nights in the club. We couldn’t possibly limit this kind of talent to a single video for your enjoyment. “I Believe” is a video that captures a more introspective side of a group that has become legendary for their kinetic, exhaustive live performances. 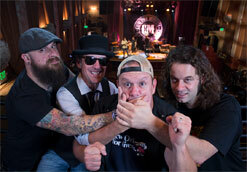 We’re totally pumped to be sharing Cowboy Mouth’s “Broken Up” video with the world! We hope you embrace this clip as much as we have here at HIP and consider adding it to your regular programming and online presentations in a timely fashion. Rest assured we’ll have plenty of Cowboy Mouth merch available for on-air contests and giveaways so please don’t hesitate to get in touch. For more information on Cowboy Mouth, please contact Andy Gesner and the HIP Video Promo team at (732)-613-1779 or email us at info@HIPVideoPromo.com. For recent updates on Cowboy Mouth visit facebook.com/CowboyMouth1 or cowboymouth.com.